Interested in collaborating on a styled shoot? We love designing and planning and may be able to help. When planning a styled shoot our first steps are to typically create a mood board. This board puts the "style" in styled shoots. It showcases color palette, theme, and special features. This board gets sent to participating vendors or helps interested vendors decide if it's a shoot they'd like to be apart of. We are all about trying new things and providing vendors with a platform to try something they've always wanted to do. We'd love to hear your ideas and see if we can help bring it to life. At photoshoots we are the designers. We bring the mood board to life with styled tables, decor pieces, and special elements. Our goal is to create Pinterest worthy photos for all involved. We prefer to work with real couples verses models. It's extra special if the couple is engaged and can use these photos for practice on their wedding day. Limited shoots are taken on throughout the year. In return we ask each vendor tag all participating vendors when posting photos to social media. Still interested? Send us a message using one of the buttons below. 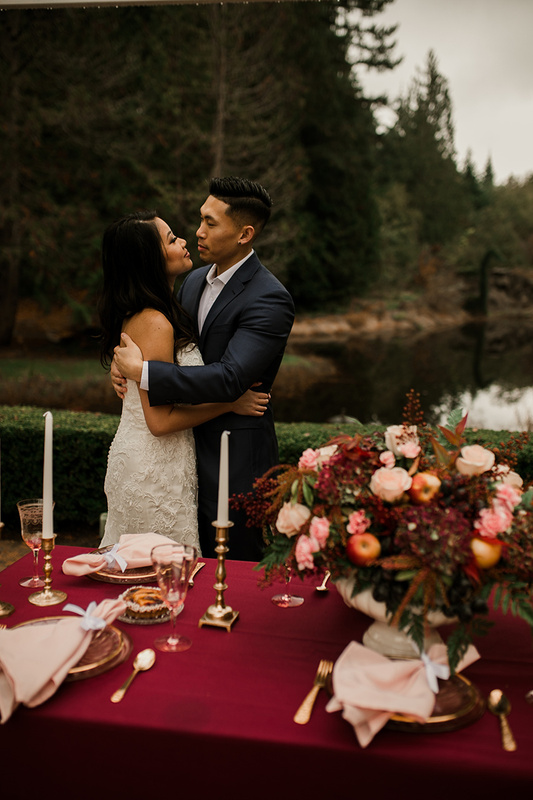 Next styled shoot: Thursday, Dec. 28, 2017 in Tacoma.